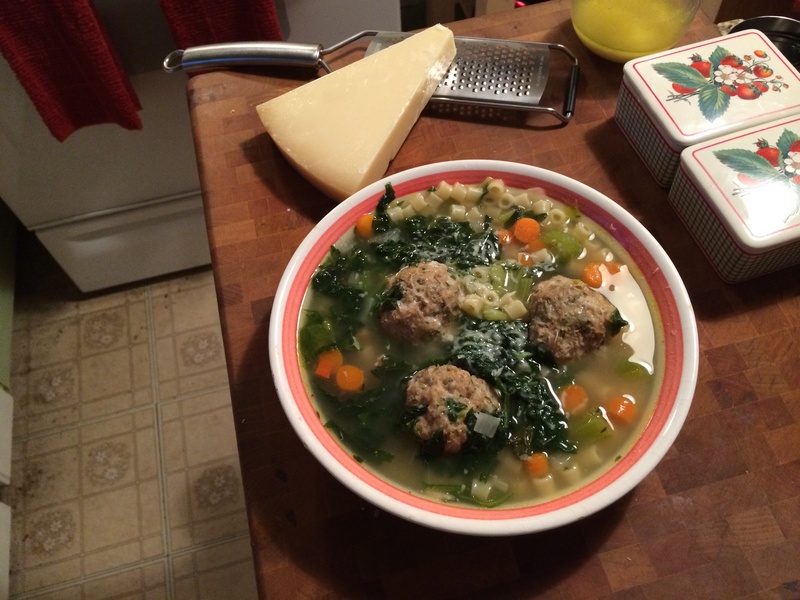 Italian Wedding Soup With Chicken Meatballs is comfort food in a bowl. The meatballs are so tender, they’re like biting into spoonfuls of clouds. This has to be my all time favorite soup. 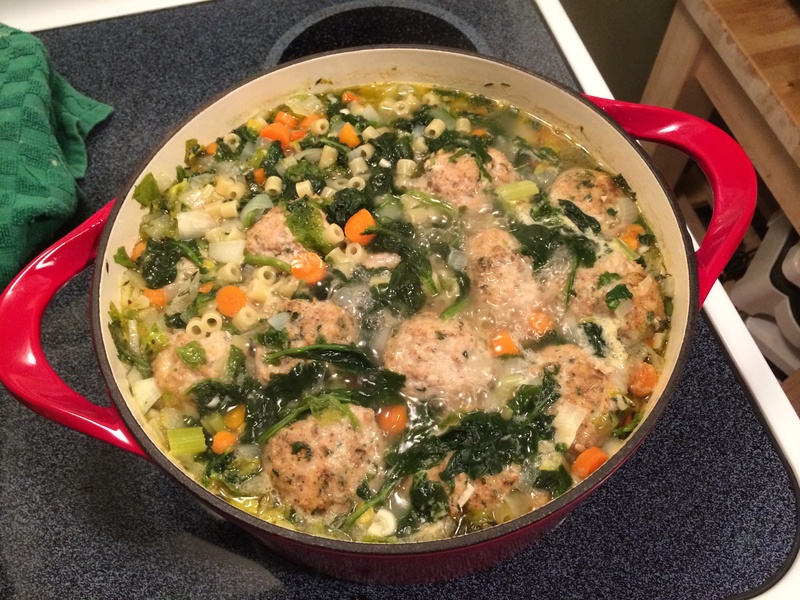 The combination of the meatballs in the warm chicken broth with the veggies and pasta is so good. I use Ditalini pasta in mine but orzo would work great too. 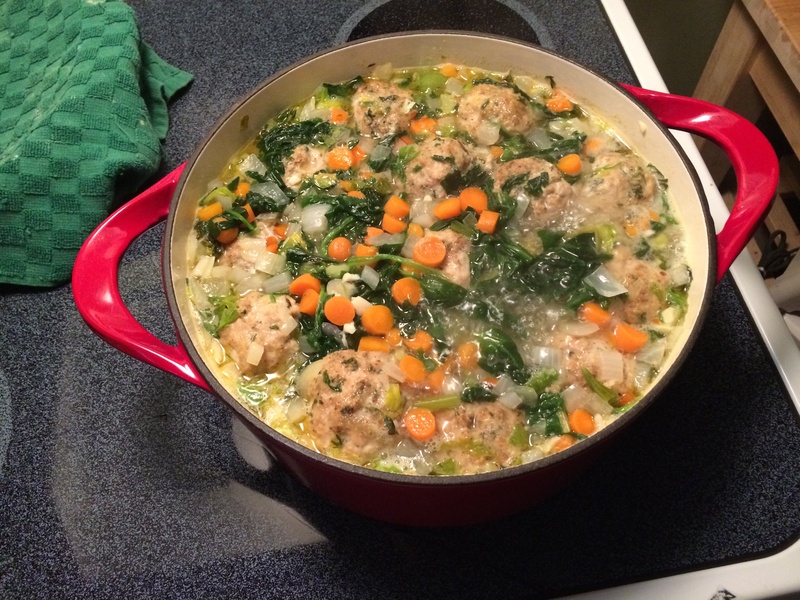 I start my soup in a heavy bottom, Dutch oven pot. 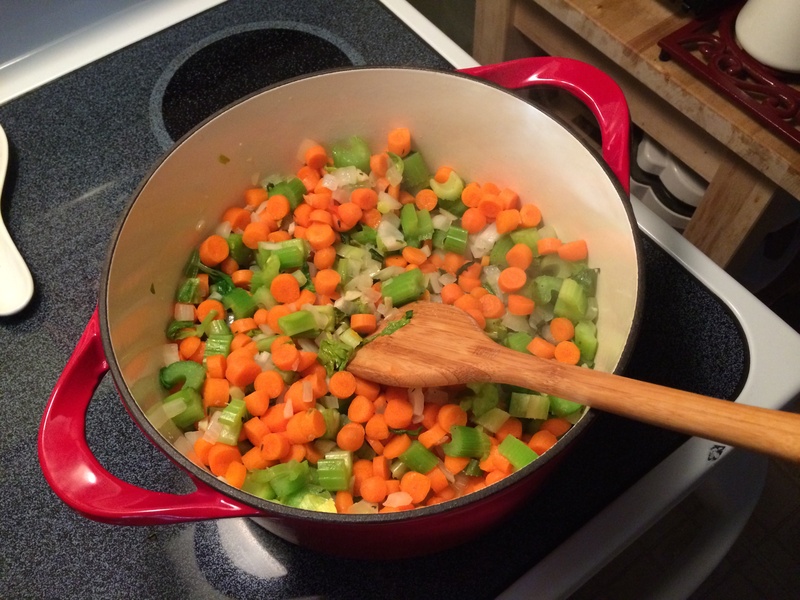 My base flavors are the usual Mirepoix, carrots, onion, and celery. About a cup and a half of each. I also add minced fresh garlic. I saute the veggies for about 5 minutes and then add 2 quarts plus 2 cups of chicken stock. 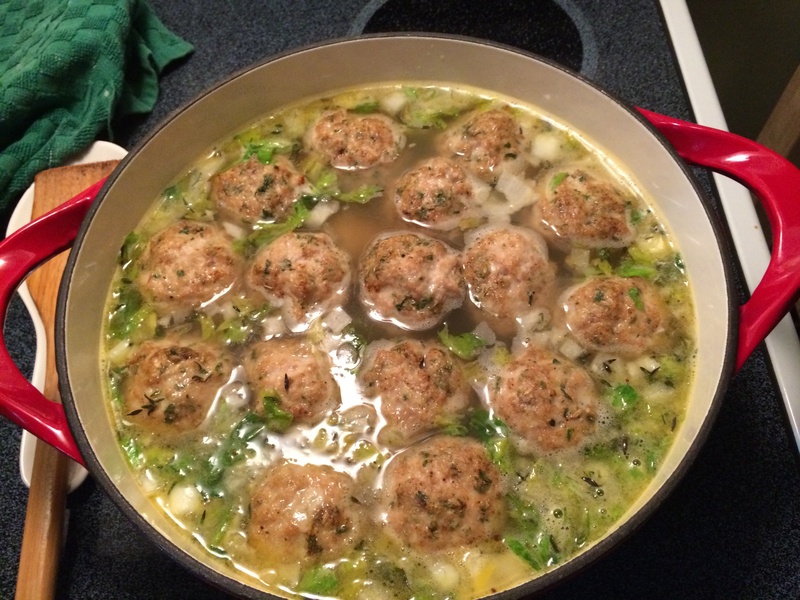 I bring this up to a boil, then reduce it to a simmer before adding in the meatballs. Once the meatballs come out of the oven, I add them to the pot, Then I let everything simmer, on med-low heat, for another 15 minutes. The last ingredients I add is the thawed frozen spinach. I do this last because it really just needs to warm through and most importantly keep its vibrant green color.